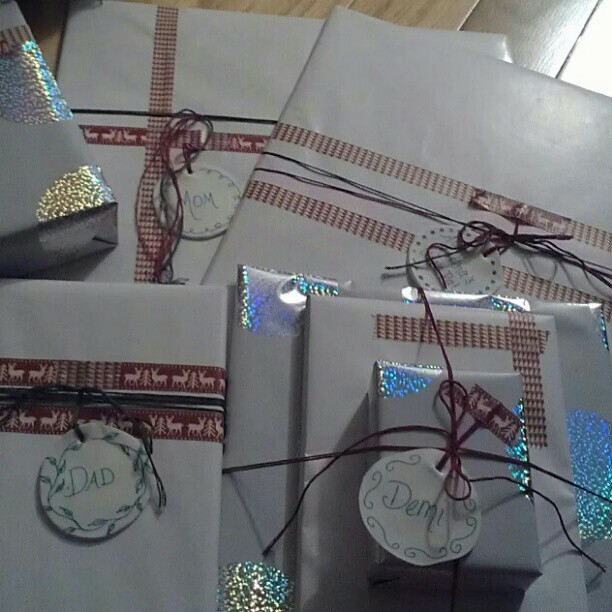 I love wrapping presents . It's one of my favorite holiday activities. It's actually even possible that I dream of someday working at the gift wrapping center in a department store (sigh). See the cute red tape with deers and herringbone. That's washi tape. I love how it gave me so many options for placement. A great thing about washi tape is it can also be easily removed and replaced. The fact that I have to ship my presents home means that I need to do simple wrapping - no big pretty bows that will get smooshed in a box. So the washi tape works well. I love mason jars. They are just so functional. There is their primary function - canning (which is something I want to try). You can use them to store food (I love the way they look in my pantry). You can drink out of them (a friend of mine got me the cutest mason jar mug for Christmas). There is also a world of crafting possibility offered by the little mason jar. 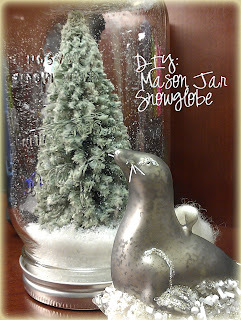 This past week I made a mason jar snow globe. I love it!!! This is an Anthropologie inspired craft - because Anthropologie is amazing. It's my inspiration place. I did not want to spend money on one of these when I knew I could make one. This is a super easy craft and does not take a lot of time. 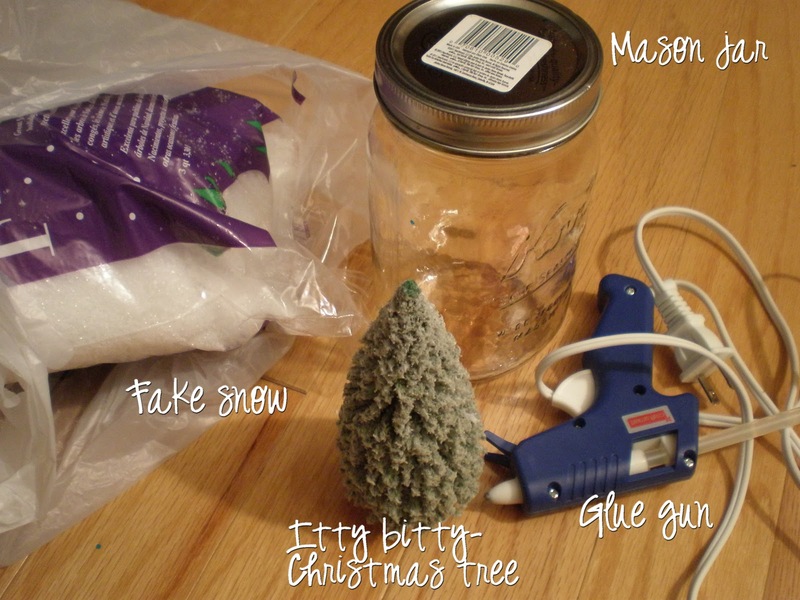 Itty bitty Christmas tree: These can be found with the accessories for Christmas Village figures. My tree was about $7, but I had a 40% off coupon. I rarely buy anything full price at Michaels. Fake snow: This was also found in the Christmas Village section. It was $3.50. A word about the fake snow: This stuff is messy. I think there are other fake snow products (I have even seen some at Target) that are not as messy. However, I have to say that I do recommend the one that I used (picture below). It is almost like shredded styrofoam. You probably can't tell by the pictures, but it has a slight sheen to it like real snow. I also like the way that it sticks to the side of the mason jar. So, the mess is definitely worth it. 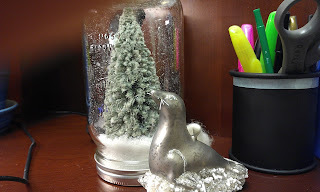 I tested my tree to make sure it would fit in the jar before I pulled out the glue gun. I realized that I wanted my tree to be a little bit taller to provide more room for snow. So I began searching for things to put a little height to my tree. I tried a tea light candle, but that was too tall. Then I realized that I had a cardboard box in my closet so I pulled it out and cut out some circles. I forgot to take a picture of the next step - sorry. I poured snow into the mason jar. 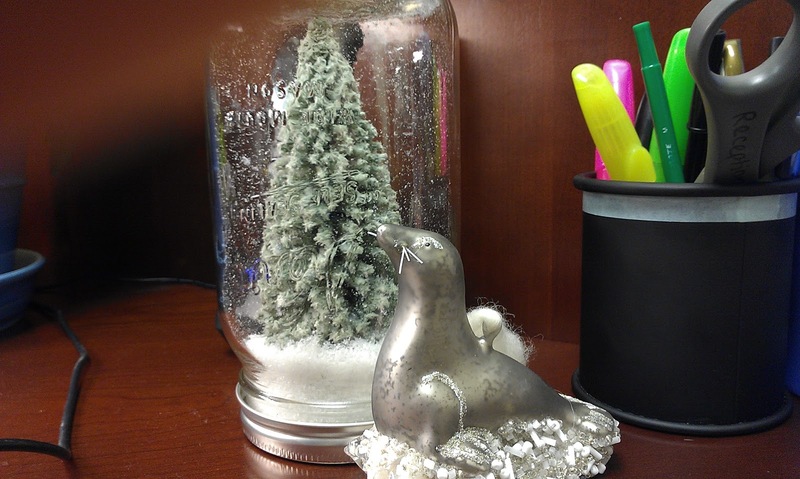 Then (after making sure the glue is dry), I turned the lid with the tree upside down and screwed the lid onto the jar. And there you have it. One super fabulous - I made it myself - little piece of handmade Anthro inspired goodness - mason jar snow globe.